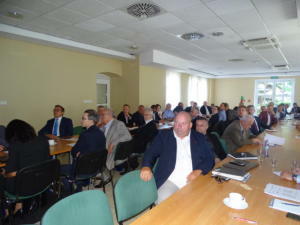 The meeting was opened by the Chairman of the General Meeting – Tadeusz Rybak (President of the Board of MOSTOSTAL PUŁAWY S.A.). After a short welcome, all members of the presidium were appointed: deputy chairman, who became Zbigniew Miodowski (President of the Management Board of ZinkPower Szczecin sp. z o.o.) 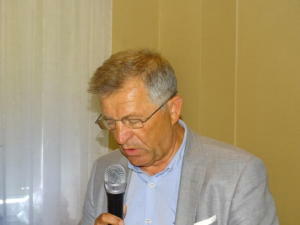 and Bartłomiej Podobas (PIKS) was appointed as the record officer. 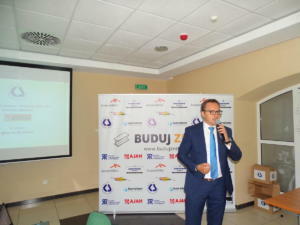 An important point of the General Meeting was the summary of the previous year, which was made by the General Director of the Chamber, Karol Heidrich.The short presentation discussed the most important events that Chamber organized and in which participated in 2017 – including trade fairs, conferences and industry meetings. PIKS activities in the first half of 2018 were also presented. Elections of new chamber authorities were also held: the President, Vice Presidents and Members of the Chamber Council and the composition of the Peer Court. After counting the votes, the election results were presented by the chairman of the Mandate Committee, Bogusława Grzechowska (Targi Kielce S.A.). 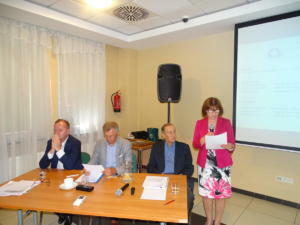 After the election of the Chamber Authorities, dr inż. 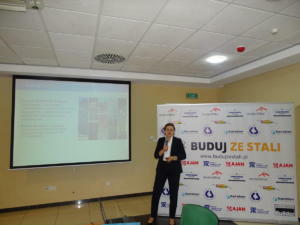 Wioleta Barcewicz from the Warsaw University of Technology, who discussed in detail the actions taken so far by the Chamber under the BUILDING WITH STEEL Program. 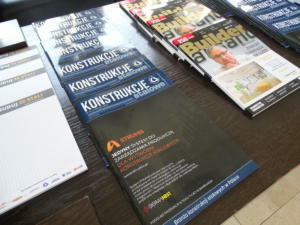 Then, the newly elected Vice-President of the Chamber and the Chairman of the PIKS Program Committee Bartłomiej Baudler told about the next plans of the Chamber – primarily the organization of the 4th Technical Conference, which will be held for the first time at the Hotel Binkowski in Kielce and will be devoted to the subject of anti-corrosion and fire protection and PIKS Congress, planned on 9-10.10.2018 in Józefów near Warsaw. Concluding the substantive part of the meeting, the microphone was taken over by the new President of the Chamber – Zbigniew Barłóg, who not only thanked for the trust he had shown, but also stressed his most important intentions regarding the new function. 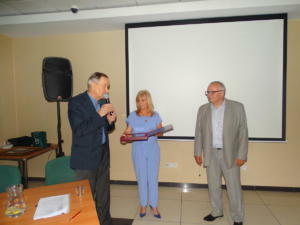 At the end of the meeting, Karol Heidrich thanked Lech Ciszak from ZEMAN HDF sp. z o.o. for many years of cooperation. Lech Ciszak has been in the governing bodies of the Chamber since the founding of the PIKS. 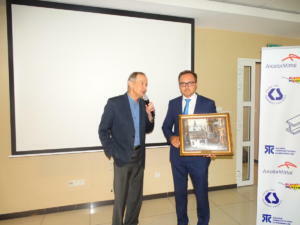 The congratulations and commemorative image on the occasion of the company’s jubilee was also picked up by Bartłomiej Baudler, managing director of KERSTEN EUROPE sp. z o.o. 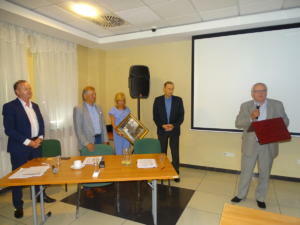 Receiving a gift from: the General Director of PIKS Karol Heidrich, Vice Presidents of the Chamber Tadeusz Rybak, Zbigniew Miodowski and Jolanta Podobas, Deputy General Director for Administration, Bartłomiej Baudler, stressed that the success of KERSTEN EUROPE is the merit of the whole team – the company is made up of people, their experience and motivation for work. After the General Meeting, the participants attended the dinner and short rest. 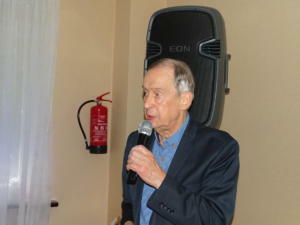 Then all the interested took part in a cruise on the Mikorzyn Lake and an evening outdoor event. We congratulate the chosen authorities of the Chamber and wish them success in fulfilling new functions! 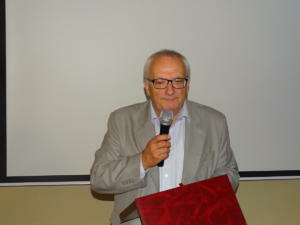 We would like to thank President Lech Ciszak for cooperation and we wish him many successes in private life! 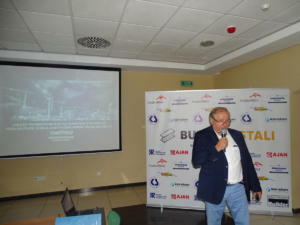 We would like to thank all those present at the General Meeting of PIKS!